This past week I spent a few days in Boston with my friend Edward Barron. We bore silent witness to the harm of Child Genital Mutilation, exposing the truth to thousands and thousands of people. 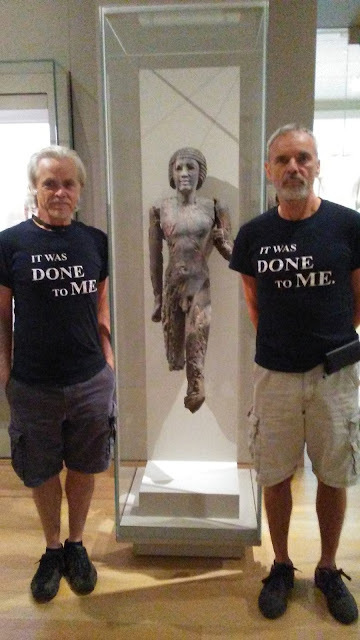 Not a single person made any excuses, or challenged our message. 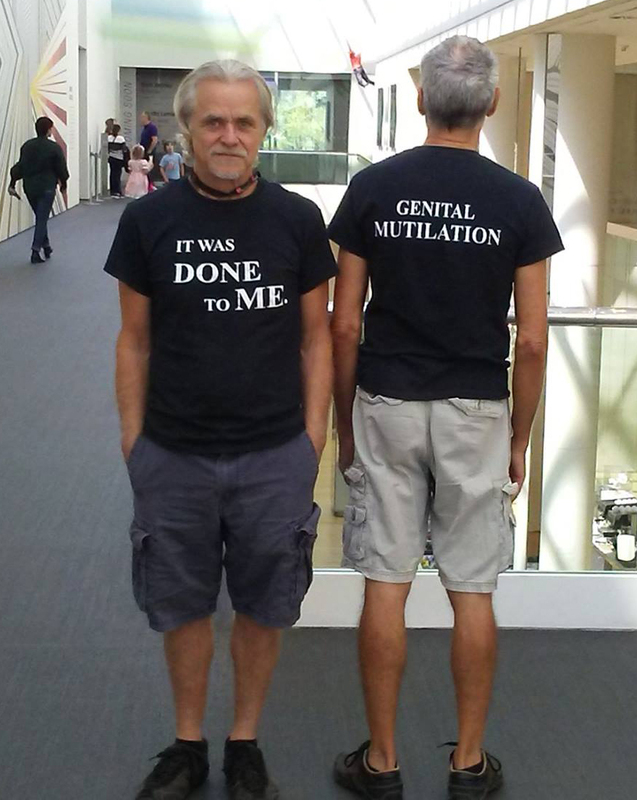 A man dressed in scrubs stopped us on the street to say he agreed with us, "It is Genital Mutilation." 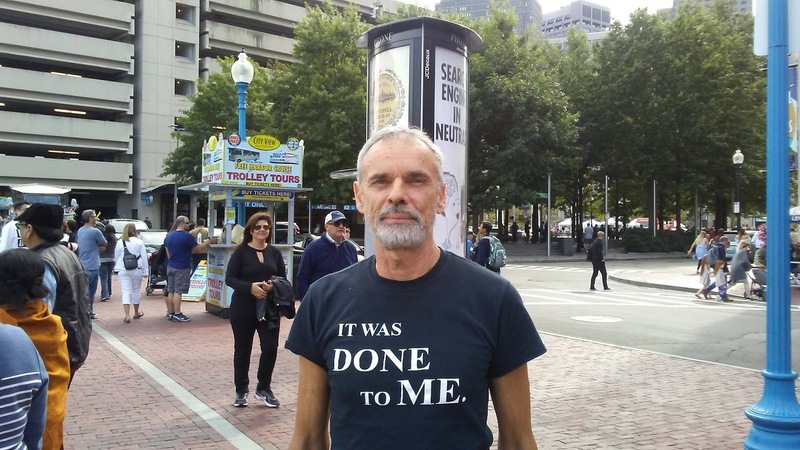 A woman even volunteered on her own, "isn't only done to females..."
Nothing had to be explained, argued, or debated because the truth speaks for itself. Don't give mutilators a word to hide behind. Maiming her healthy genitalia is called Female Genital Mutilation, because isn't that exactly what it is? 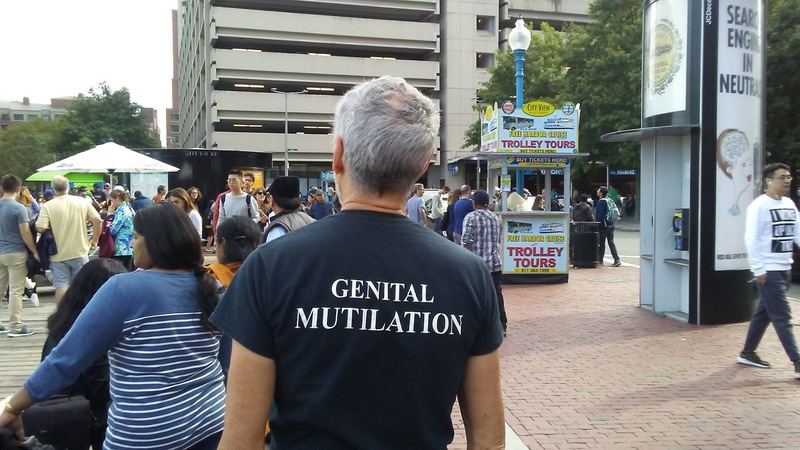 Maiming his healthy genitalia is called Male Genital Mutilations, because isn't that exactly what it is? 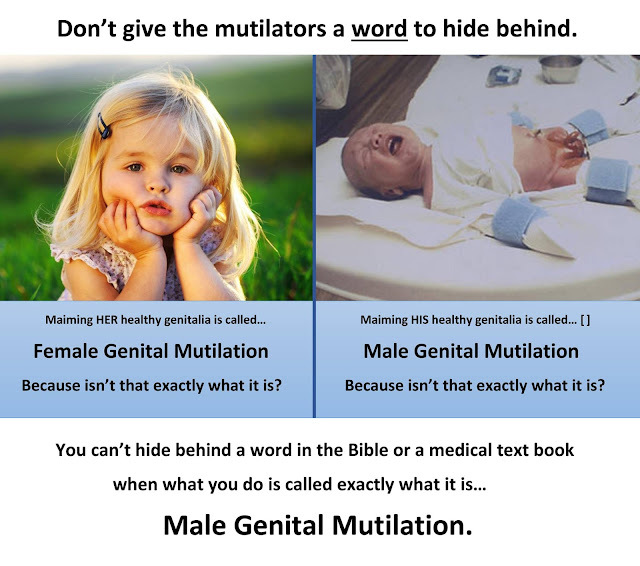 You cannot hide behind a word in the Bible or a medical text book when what you do is called exactly what it is - genital mutilation.